The product is constantly changing, so if you find anything different than the real product, don’t be surprised and please do comment and let us know. Below is a how a rate table looks like. The Currency setting will be a bit different when you switch on and off Currency Conversion. 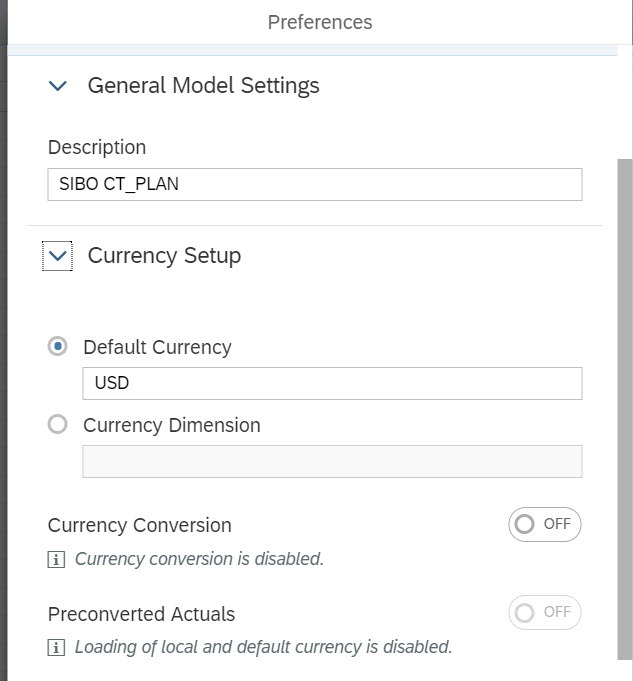 For a Model that has CC switched on, you should choose either a Default Currency or a Currency Dimension for the model. 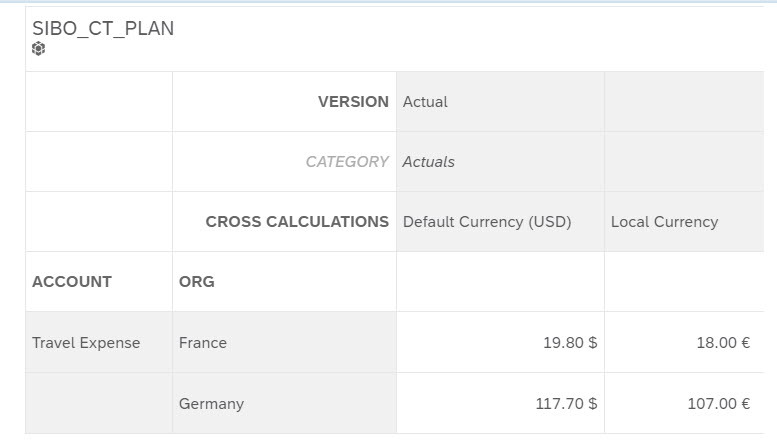 In the case of CC off, the Default Currency is both the default reporting and input currency. You can also choose to use a Currency Dimension. Noticed that unlike BPC the ID of the Currency dimension is the currency key, in SAC, you need to specify a currency property. In any of the case above, the Story will not automatically detect the currency type and the number will be displayed as normal key figure without any currency sign. You can also switch on the Currency Conversion feature for a model. And once the CC is created, you’ll need to setup both Default Currency and a Currency Dimension. Similar to above, the Currency Dimension can be either Organization or Generic type. Also you need to choose the rate table you want to attach to this model. CC in SAC is performed at runtime. Different than BPC, the converted results are not persisted. When CC is on, SAC only stores the local currency data. For planning case, user can input both local currency and converted currency. 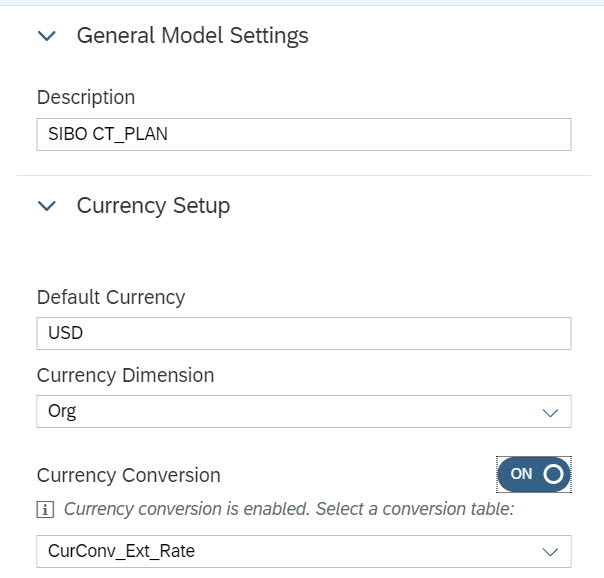 In SAC, unlike BPC where you can drag/drop CURRENCY on row/column as it’s a dimension, to display the Currency property, you’ll need to create a Currency Conversion typed Cross Calculation. By default, there are 2 types of Cross Calculation members. One is Default Currency and the other is Local Currency. When you create a story, by default only the Default Currency is displayed. *If you use Org type, it’s Local Currency, if you use Generic type, it’s Currency. Below is a report with CC on. Story will automatically attach the currency sign to the number. 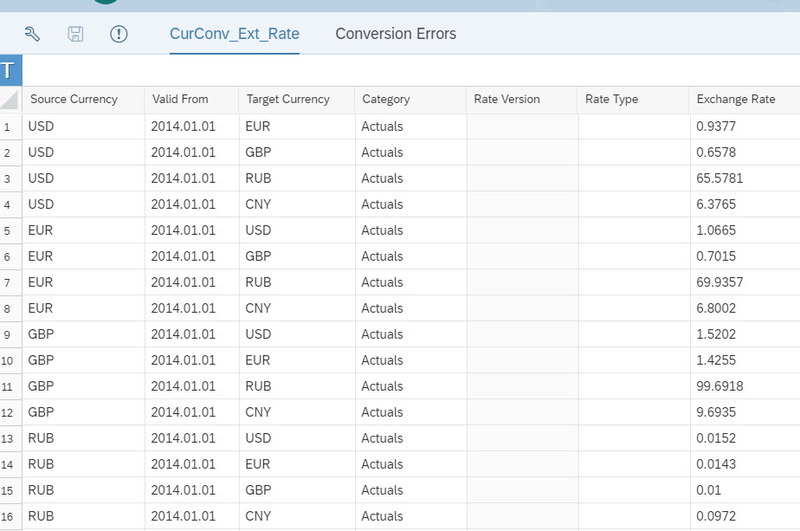 Besides the 2 types, you can create more “currency measures” by adding a new CC type calculation. After creating the CC, it’ll become a member in CrossCalculation. You can choose to display it on the story like any other dimension members. *You need to make sure the rate values are maintained beforehand, otherwise the story won’t show correctly. When CC is on, Default Currency is Reporting currency. The end user is inputting data on Local Currency, Default Currency is automatically converted. If user input data on Default currency or Converted Currency, before publishing, the other type of currency data will become temporarily unavailable. After publishing, SAC will calculate all types of data. SAC Export is flexible. But without proper configuration it’s easy to make mistakes. This is still being discussed as the behavior could be very complex when introducing the new Currency as dimension concept. As I have also emphasized at the beginning of this blog, this is an evolving product and the feature is kept enhanced. Do not feel surprised my blog becomes completely wrong in a few months. If you find do, do leave comments and let us know. Thanks in advance!